UPDATES - News, Information, Possibilities! Thank you for your interest and participation in my classes, workshops the company of dancers who inspire through their journeys with me. It is a pleasure to see you and work with you all through movement and dance. Of course, you can join us at any time for classes - even mid-term; you can join me in the company and you are my work and journey. 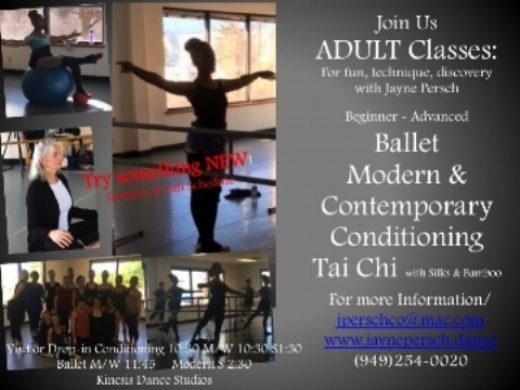 For classes, I am always happy to add additional classes in Tai Chi, Improv, Contemporary Ballet, Various styles of Modern& Contemporary Dance. I look forward to coaching and working with you privately in dance & movement, Gyrotonics and more. In Embodied Awareness Workshops, I am happy to be sharing my life's work, the ups and downs, discoveries and rediscoveries. Embodied Awareness System©️ (EA) is just another view and approach to teaching, training, mentoring, coaching - bringing in years of work in physical therapy, psychology, specialized training in PT, Craniosacrale Therapy, Pilates, Gyro, Yoga, various Ballet Technique Curricula and Visual Arts. I am so grateful to have worked with the finest mentors including Valentina Pereyaslavec, Bill Griffith, Ninette the Valois, Julia Faron, F. David Peat, Irwin Laslo, Michael Conforti and so many more! I dedicate my work to carry on and advancing their work. I love blending and weaving the body, mind and Spirt - contributing to a safe and inspiring environment for training, and working in dance & movement, the physical and therapeutic arts. ... and of course - my love is choreography ~ but in this day and age, it is more than difficult to maintain a 'company' of dancers - enriched and embedded in the finest traditions and reaching contemporaneously into the future. BRIAH means 'life-breath' and to this end I dedicate my work in teaching, therapeutic work and choreography. BRIAH Danse is now a 501(c)(3) organization. We hear at the BRIAH admin offices are working on grant application to not only host upcoming guest artists, but to create performances based on respect, renewal and understanding for our dancers. We are looking at international invitations as well as hosting international and national dancers to bring to the stage an authentic depth and integrity. Watch for more to come! Performances will be exciting and different! New Work - Moving Into Stillness - Dedicated to F. David Peat, physicist, humanitarian, philosopher, friend Exploring music of new and old composers - submissions accepted; Visual artwork by Karen Schwager. 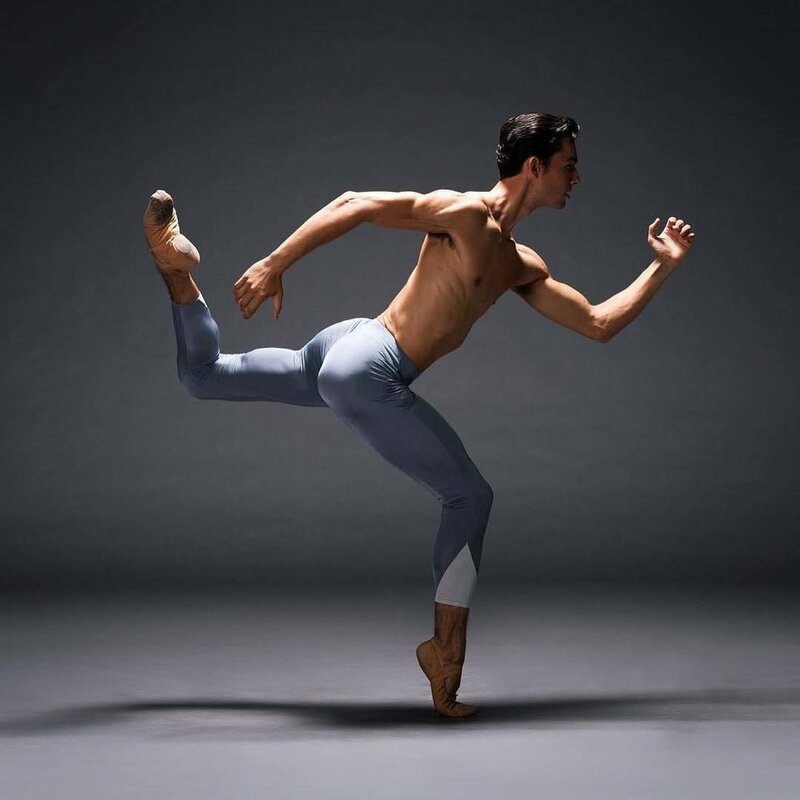 Dancers wanted 4 Principals and 8 Corps - wit proficient ballet & modern/contemporary technique. BRIAH Danse has a bright future. Check this website often for updates, workshops, international student exchange, projects and upcoming performances as well as new class schedule changes coming 2018. Q: Why do we spell BRIAH Danse with an "s"? A: BRIAH Danse is founded upon the principles and study of the Masters. Such include Balanchine, Pereyaslavec, Michael Conforti, Yoram Kaufman, Goetheanum and many others. Both education, experience, training and artistry come from roots in classical and contemporary dance in both European and American traditions and evolution in the arts, asian studies, psychology, new sciences such as mind/body training. The "s" symbolizes the depth and breath of a global foundation. How do we make a community... to dance, to share for teaching, for learning? How do we come together for classes, for performances - support our dance to pay rent for studio time, pay insurances, pay rent for venues, tech support, promotion and collaboration with each other.? This is a constant dilemma... wouldn't it be wonderful if there were no costs - how do we share costs make it work ? I am open to ideas... I love teaching sharing, being inspired by each of you. Please share your thoughts for the future of classes. Embodied Awareness is a copyright accumulation of a life time of work as a dancer, therapist, psychologist, mentor and Steiner - combining the latest research and information for movement in our bodies, and ourselves - for physics, mental and emotional health. Did you know that every muscles in our bodies influences an organ, that is a part of our functional systems, or that emotions are housed throughout our bodies and that movement is a reflection of muscles, memories, patterns from DNA, pre-dispositions and trainings - More than anything - we are the MASTERS of our lives and our movement in and through life! With a Master in Dance, Dance in Education and Psychology, 50 years of work as a dancer, teacher, mentor and coach and a licensed physical/massage therapist since 1988 ~ I love to share my research and continual discoveries in movement, life, the best personal understanding for efficient and artistic functional movement and injury prevention. Join me in Conditioning Classes, Individual Private Sessions, Workshops for movers, teachers, trainers, yogis - add more to your personal understanding , gain a new perspective.Enjoy being!